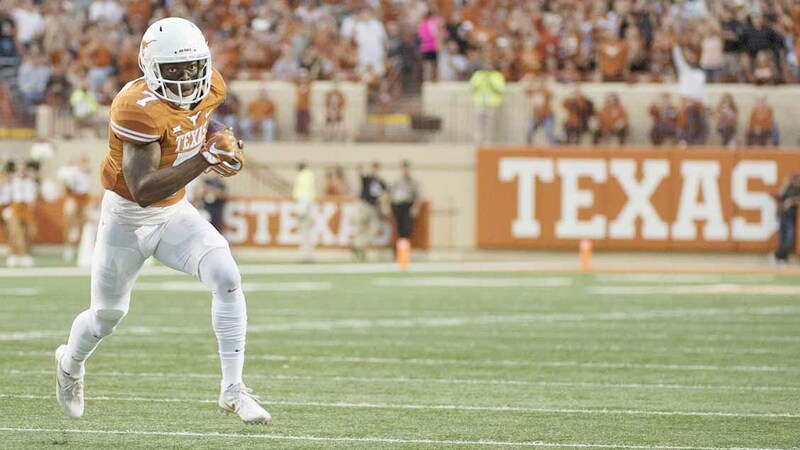 Defensive back Antwuan Davis was named Big 12 Defensive Player of the Week after picking up three tackles, two interceptions, a touchdown and a fumble recovery in the Texas football team's victory Saturday over Kansas (photo courtesy of texassports.com). AUSTIN, Texas — One win and they’re in. That’s the philosophy being adopted by the Texas football team over the next 11 days and final two games of the regular season in search of earning its first bowl berth since 2014. But given the opposition — Texas kicks off against No. 24 West Virginia at 11 a.m. this Saturday in Morgantown, followed six days laterby a primetime home shootout against Texas Tech on Black Friday — nothing will be easy for the Longhorns, and they know it. So coach Tom Herman is ready to pull out all the stops.